The #WATWB was inspired by a simple conversation about how all the negativity on social media was weighing on us. Not just to talk but to make a difference we decided to try to do our part to infuse social media with all the good stories that are out there, the stories that show kindness, compassion, hope and the resilience of the human spirit. With your help, we hope to change the current landscape of social media, blogs, and news. I had posted about WE ARE THE WORLD BLOGFEST here. Today I share a story of compassion, love and spreading joy. I share with you all the simple story of a girl who changed herself and is making an impact all around us. I came to know Kirthi Jayakumar when I read and reviewed her book – The Dove’s Lament. the book left a powerful impact and I have followed her work since. She had not talked about all the war, insurgency and hatred in the world but the fact that goodness, kindness and love survive in spite of them. She is spreading peace, kindness and helping others grow. She is a fine example of how youth can make a change and not just think about it as she founded The Red Elephant Foundation. Storytelling for gender equality and peace. Education with curriculums, workshops and dialogue. Tech for Good for resources and reporting. Digital Advocacy for gender equality and peace building. Legal, Policy and Psycho-social research to inform our activism. 2. Link to a human news story on your blog, one that shows love, humanity, and brotherhood. Paste in an excerpt and tell us why it touched you. 4. Place the WE ARE THE WORLD badge or banner on your Post and your Sidebar. 5. Help us spread the word on social media. Feel free to tweet, share and yell from the rooftops (ok, your neighbours might not appreciate that…so maybe no yelling) using the #WATWB hashtag to help us trend! 6. Tweets, Facebook shares, Pins, Instagram, G+ shares using the #WATWB hashtag through the month most welcome. We’ll try and follow and share all those who post on the #WATWB hashtag, and we encourage you to do the same. 7. 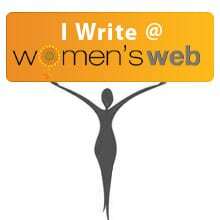 Have your followers click Here to enter their link or your own #WATWB posts and join us! Bigger the #WATWB group each month, more the joy! WATWB now has a Facebook Page Please paste in your #WATWB posts in the comments. Please Like the page and invite your friends to join; we’ll be posting news items that touch the heart throughout the month. We also have a Pinterest Board, so you can pin your #WATWB posts here. Thank you once again, and we’re all excited to start a trend of positivity on blogs, social media, and news. Lots of people talk about changing things to make them better but very few really do. It’s nice to know that ordinary people can make a change with small things…. Such a wonderful initiative. Seriously, heartening to see such efforts being taken. Wish more such stories come forward as the blogfest continues. What a wonderful website and cause. I could spend hours reading about the Red Elephant Foundation and the stories on it. Thank you for sharing it! Fascinating initiative with a wonderful name. The stories we tell ourselves are who we become. Thanks for sharing this for your first #WATWB post. What a beautiful and empowered mission – thanks for sharing it. Thanks for sharing this lovely story of a woman making a difference. Thanks for bringing forward this wonderful initiative, Inderpreet: this is why we started WATWB– to find out about everyday people making a difference! It’s such a great initiative to spread love and happiness around. I was totally impressed with the Dove’s Lament and I see Kirthi going on from one milestone to another. Very impressive journey for the young girl. Love this story, and the name of her foundation! It was a delight to read of this young woman Kirthi Jayakumar, Indy thank you. Telling stories of people in the past, and present, who face adversity and overcome them is a powerful message. And taking it forward, with those initiatives, promoting peace and equality and being activists, has my deepest respect and gratitude.